The Coast Guard’s motto is the Latin phrase, Semper Paratus (English for Always ready), and rightly so, since this is a branch of government that has to be ready to fulfill their duty at a moment’s notice, whether they are deployed for a search & rescue mission, law enforcement, marine casualty, oil/HAZMAT spill, port security or any other marine emergency report, sometimes even within thirty minutes after receiving the distress call. Abante International had the opportunity to visit the United States Coast Guard Sector San Juan base on Friday, November 13th. While at the base, the Colleagues were able to learn about the history of the Coast Guard from Lieutenant Commander Marlin Williams. LTCD Williams also serves as chaplain for the base, and has been serving in the military for over fifteen years. The first stop on the tour of the base was with Chief Jeff Scully, who shared about the daily duties around the base. One of his crew members took the team for a tour of their fast response boats. The next stop was a visit to the Operations Room, where the distress calls are received. Senior Chief Daniel Capestany thoroughly explained the process of rescue missions from the moment the report comes in, until it is assigned a deployed. The next stop was a meeting with Captain Robert W. Warren who has been the San Juan sector Commander since July 2014. As Sector Commander, he leads approximately 650 active duty, reserve and civilian men and women. Together, they conduct all Coast Guard missions in the Eastern Caribbean. 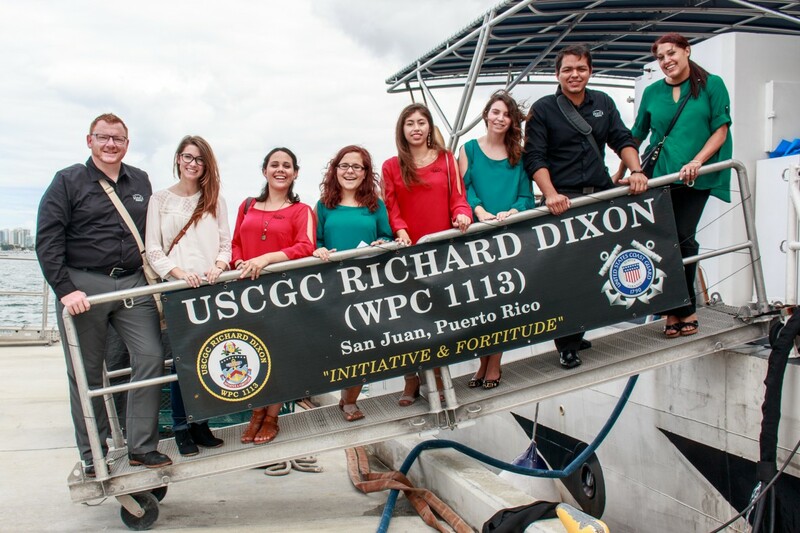 The team’s last stop was a visit and tour of the Coast Guard Cutter Richard Dixon. Lt. David Gilbert was generously met the team on his day off to share his expertise with the team and give a tour of the majestic cutter, Richard Dixon. Lt. Gilbert had some great leadership tips for the team, a well as some interesting stories from successful drug busts and recue missions with his cutter crew. These young men and women truly exemplify a true hero; Knowledgeable, brave, generous, and selfless!